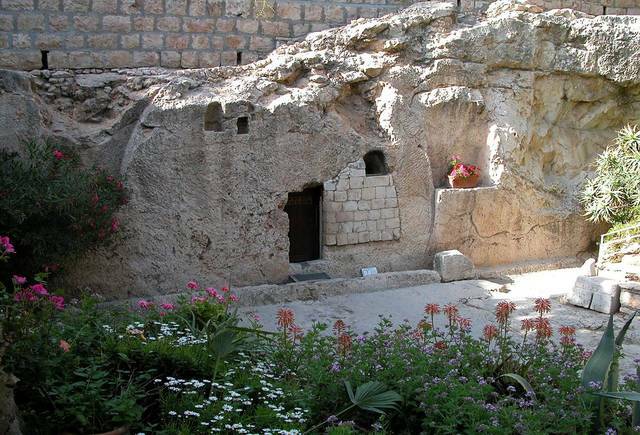 With this in mind, many Latter-day Saints wonder how they, as individuals and as families, can use Easter and the days leading up to it to better celebrate the atonement of Jesus Christ—his overcoming sin and death through the Redemption and the Resurrection. Over the years, my family has found that using the ways we celebrate Christmas as a guide can help us make Easter a more meaningful holiday, making it a learning and teaching opportunity as well as a real opportunity to worship together. Christmas decorations and foods, while largely secular in nature, do much to prepare us for the festive and joyous feelings that accompany Christmas. Similarly, we have found that decorating for Easter weeks in advance, with both fun and religious decorations, helps add to our anticipation of the holiday. As we do with Christmas decorations such as Christmas trees, wreaths, and lights, we make sure to take time to explain to our children how Christians have come to use these symbols to teach about the coming of Savior into the world. Likewise, we explain how flowers, eggs, and even spring itself symbolize rebirth and new life. But beyond that, we display pictures around the house that represent the events of the last week of Jesus’ life to remind us of what he did for us. These include pictures of the Triumphal Entry, the Last Supper, his praying in the Garden of Gethsemane, the Crucifixion, and the Empty Tomb. We even have put together a little Easter “crèche,” which features figurines of Jesus riding a donkey with children waving palm branches for Palm Sunday and a replica of the Garden Tomb, which we open on Easter morning. Indeed, these pictures and our crèche lead me to the most important thing that we try to do: celebrate Easter as a season and not just a single day. Our family begins to celebrate Christmas soon after Thanksgiving, and we have had a tradition of gathering each evening in December to share a Christmas story, read a scripture about the prophesied coming of the Savior, and sing a carol before family prayer. Adapting that pattern somewhat for Easter, we have found that an important way to prepare is to take time each day leading up to Easter, beginning with Palm Sunday the week before, to read from the scriptural accounts of Jesus’ last days, talk about what that day’s events means to us, sing a hymn, and pray together. Harmonizing the accounts of the four gospels is not always easy, but we use a chronology that assigns events for each day and also accords with Christian observance of Holy Week in several other traditions. I have long believed in the spiritual power of music, which has been reaffirmed by the spirit that singing hymns during the week before Easter has brought into my home. Likewise, the Primary’s Children’s Songbook has wonderful music for the Easter season. But beyond singing together, I have found that just listening to beautiful, Christ-centered music does much to add to the week before Easter much like listening to Christmas music throughout December brings the spirit of that season into my life. I have a particular fondness for masterworks such as Bach’s St. Matthew Passion, Handel’s Messiah, and full-length works by LDS composers such as Robert Cundick’s Redeemer and Mack Wilberg’s Requiem, all of which treat the themes of the Atonement in a moving way. However, to keep Easter week from being too somber, just playing beautiful music about the Savior, such as that found on the Tabernacle Choir’s CD Consider the Lilies, brings in a peaceful, reflective spirit into our home. Easter week devotionals—reading, reflecting, singing, and praying together—can constitute real family worship, much as reading the story from Luke 2:1–14, singing, and praying together on Christmas Eve can be. While wards often plan special talks, music, or programs for Easter Sunday, they either focus solely on Easter or try to pull in all the events connected to the Atonement into one meeting. Taking time at home on Thursday, Friday, and Saturday, however, lets us focus specifically on the Last Supper, Christ’s suffering in Gethsemane, his dying on the cross, and his mission to the spirit world. And our family always takes time Easter morning—before going to find Easter eggs and candy—to read one of the Resurrection accounts together and have family prayer. These are some of things I have found useful in making the most of the all important Easter holiday. What are some traditions you have? Eric Huntsman is a professor of religion at BYU and is author of several books, including his most recent book God So Loved the World: The Final Days of the Savior’s Life. Learn more here.